Bhambri made many unforced errors to go down 6-7 (4), 4-6, 3-6 in two hours and nine minutes. Melbourne: Indian tennis ace Yuki Bhambri suffered a major blow as his third Australian Open appearance ended with straight sets defeat at the hands of Marcos Baghdatis of Cyprus in the opening round here on Monday. The 25-year-old, who qualified for the main draw of the tournament after beating Canada's Peter Polansky in the third and final qualifying match, made many unforced errors to go down 6-7 (4), 4-6, 3-6 in two hours and nine minutes at the Melbourne Park. 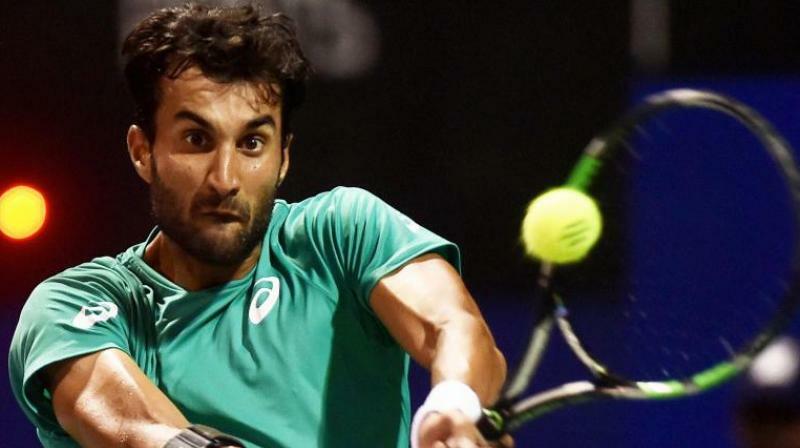 Bhambri had a chance against world number 103 Baghdatis, but he made a staggering 33 unforced errors in contrast to just three of the Cypriot to bow out in the opening round. It should be noted that Bhambri is yet to win a round in the main draw of a Grand Slam and the Australian Open is the only major he has played. In his last two appearances in the main draw, Bhambri had suffered a defeat against British tennis maestro Andy Murray in 2015 before being knocked off by Tomas Berdych in the opening round in 2016. Bhambri was a lone qualifier in the men's singles event of this year's Australian Open. Meanwhile, Baghdatis will now lock horns with Russia's Andrey Rublev in the second round of the first major of the season.